As a new mom, just thinking about the process of going back to work for the first time after having a baby can be difficult to ponder. Not only are there many emotions involved with entrusting someone with the care of your baby, there are many practical issues to sort out as well! By the time you are in the second trimester of your pregnancy, you should have an idea as to what your childcare situation is going to look like. Whether you will be planning to go back to work within months of giving birth or are planning to stay home full-time, you need to think about what type of help you will need. Never fear! With a little preparation, this transition can run smoothly and relatively painlessly. The most important first step is to dedicate yourself to this process. If you find yourself not wanting to deal with it, and maybe even being in denial of this process, talk with someone about it. If you make decisions about this process feeling that way, they will not be the best decisions and you may end up having to come back and revisit the process in a few months, which will just wreak havoc on your household and emotions and hinder your ability to find balance between work life and home life. 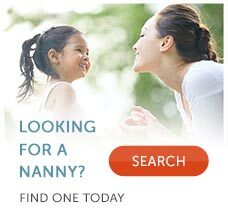 The next step involves finding the right nanny for your family. This is a very important step in ensuring that you find someone who is a great fit for your family long-term. You need to identify your family's needs, develop a job description, screen applicants, conduct interviews, have a try-out period, conduct a background check, hire, and develop a work agreement. Start your nanny before you go back to work! Practice being away from your baby – not only to check out the nanny but also so that you can get used to the idea of being away from your child. This can be a difficult transition that will definitely be eased if done slowly. Self care list! Many moms are unprepared to fill their time once they have a little help. Plan ahead and develop a self-care list that becomes a “Mommy must-do list!” Get out to that yoga class you have been meaning to go to! See a movie! Hang out with your girlfriends! Get support! This can be a tough process – you don’t have to be super woman. Talk about your feelings related to this process. Bank it! Start freezing breast milk sooner than later in anticipation of this process. Having a frozen breast milk stash will help by providing options and flexibility once you make the transition back to work. Planning for this will also prevent you from having a breast milk panic a week before returning to work. Develop a system to communicate with your nanny about your baby. Whether it’s a white board or a notebook log, find out what works for your family! This is not only practical but will be an invaluable journal to accompany your child’s baby book with written daily accounts of your baby’s first year! Stay connected! Have your nanny take pictures or videos of your baby while you are at work. Some of these pictures she could even e-mail straight from her phone to your desktop at work! Call and check in at the same time each day.